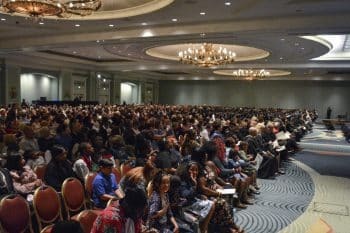 CHAMPIONSGATE, Fla. – On Saturday, Jan. 18, 2019, Keiser University hosted its annual Statewide Commencement Ceremony to honor the more than 3000 students who earned their degrees from Keiser in 2018. 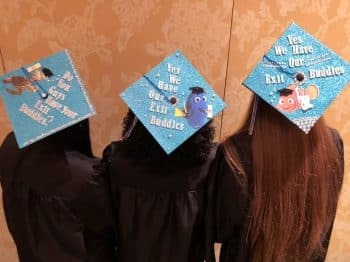 The event was held at the Omni Orlando Resort at ChampionsGate, Fla., and served as the culminating moment in the academic pursuits of many of the participants. 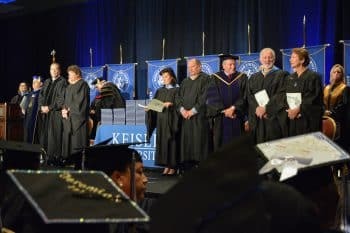 Now in its 7th year, Keiser’s Statewide Commencement Ceremony is a special service for those unable to attend graduation at their home campuses. 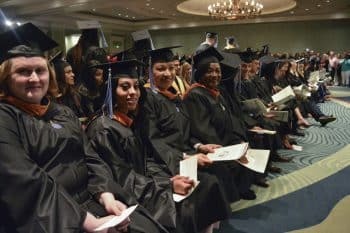 Throughout the year, 3000+ students completed their degrees at 21 Keiser University campuses across Florida with many of them participating in local ceremonies. Of those unable to attend local graduations during the 2018 calendar year, approximately 300 took part in Saturday’s ceremony just outside Orlando. Among those in attendance was six-term U.S. Congressman Vern Buchanan (R-Florida, 16th District), who was awarded an honorary Doctor of Law degree, honoris causa. Buchanan was presented with the degree for his tremendous contributions to the community, his leadership in Congress, and his support of Keiser University. Buchanan gave the commencement address and stressed the importance of being a self-starter with an entrepreneurial attitude. He reminded students that nothing is given away and urged the graduates to work hard every day to achieve their goals. More than 1500 friends and family members attended the event in support of their graduates. They were joined by nearly 200 faculty and staff from across the state. Since 1977, Keiser University has awarded roughly 68,000 diplomas and degrees. Over the past 40 years, Keiser has become Florida’s second largest, not-for-profit university in serving approximately 20,000 students. Keiser University is a private, not-for-profit university, serving nearly 20,000 students and employing 3,800 faculty and staff members. Co-founded in 1977 by Chancellor Arthur Keiser, Ph.D., and Evelyn Keiser, the university currently offers more than 100 degrees at 21 Florida campuses, as well as online and at two international sites. Keiser University is accredited by the Southern Association of Colleges and Schools Commission on Colleges as a level VI institution to award certificates and degrees at the associate, baccalaureate, masters, specialist, and doctoral levels. For additional information regarding Keiser University, visit www.keiseruniversity.edu.